Dedicated to creating unique and functional interior design solutions. Innovative design that has your specific needs in mind. JZID is a process-driven interior design firm that listens to your needs and provides unique solution to difficult problems. Designing comfortable and livable homes for families of all shapes and sizes - whether it is picking out new furniture, remodeling a kitchen or bath or building a new home from the ground up. Serving commercial offices through interior design, competitive bidding, employing ADA regulations and working with builders to make sure your office is a stimulating and comfortable environment. You don't have to jump into your remodel blind. As a part of the design concepting phase, JZID can create animated 3D renderings so you can see what the newly designed space will look like. JZID worked with a couple that has lived in West Allis for a few decades. While their lives evolved and even parts of their home were remodeled, the powder room off of the front entry was stuck in time and never updated. 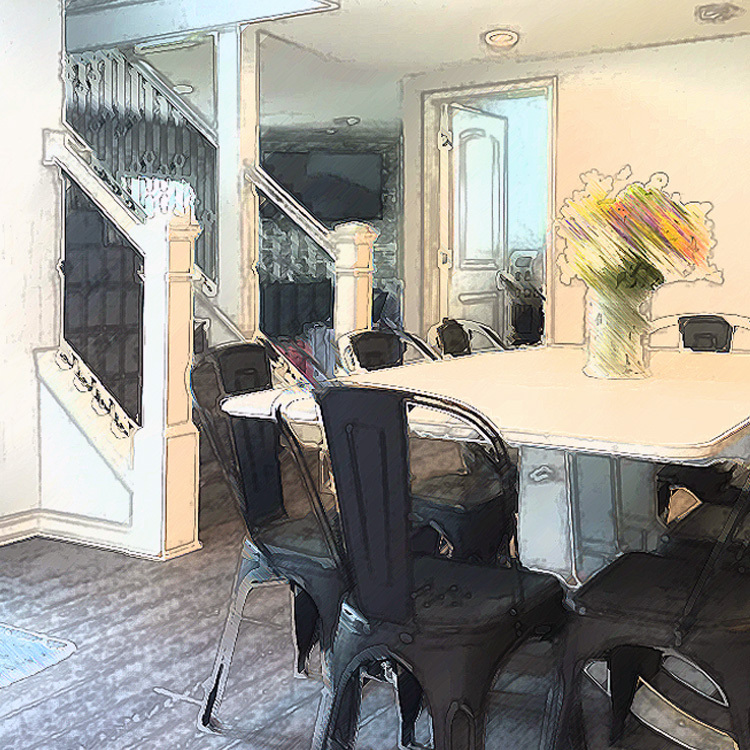 JZID was brought in to help them solve some funky space plan issues and create a design that was elegant enough to be a big wow factor by the foyer but also functional enough for daily use. Check out the before and after photos on our blog.